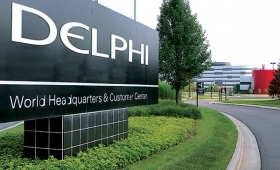 Delphi’s has spent the last two years slimming itself down in some areas and bulking up in others to turn its focus toward developing technology for autonomous, connected and electric vehicles. Its divestitures included selling its thermal business to Germany’s Mahle and in May Delphi announced it would spin off its powertrain division. 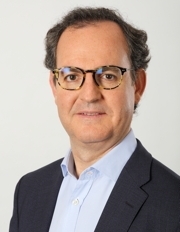 It has made eight investments and acquisitions since 2015, including a partnership formed in April with high-frequency data transmissions leader Valens. The supplier says the deal will help it better enable future infotainment, active safety and automated driving technology. One person trying to make sure all these new pieces move together in unison is the president of Delphi’s electronics and safety unit, David Paja, who joined the company from Honeywell in February. Paja knows that one of the big challenges Delphi faces is finding the right people to help create solutions that allow cars to take over the wheel. He spoke about this and more in an interview with Automotive News Europe Managing Editor Douglas A. Bolduc at Delphi’s offices in Wuppertal, Germany. How are you finding the right people and enough people to help Delphi become a key player in autonomous vehicle technology? That is a big transformation. It is happening already and it’s going to happen even more. When you think of autonomous the key competencies are around computing and sensing, such as radar technology. We already have people with deep knowledge here. You also need software expertise, so a large number of the young engineers that we are hiring have experience there. Now we are trying to make the two sides work together seamlessly. What do these young engineers bring? New engineers bring the capability to re-think the architecture of the software. A lot of the new capabilities, such as data analysis and artificial intelligence, are important developments. Those are the things you need to know about so they can be embedded in the software. Today, the software is embedded in the platform. That means the software for the different controllers is different. In the future, we want all the software to be designed exactly the same for all the controllers. This allows over-the-air upgrades because everything is standardized. Do you have to re-train current employees to get them ready for this shift? We are putting more emphasis on training programs. You have to keep people current on technology. Even the thinking around how to code software changes over time. It’s a continuous process. How do you lure young engineers to Delphi when they could go to an automaker or a company such as Google instead? What makes us attractive is the stuff we are doing. Working on the autonomous and connected vehicle is quite exciting. Delphi Electronics & Safety President David Paja says his unit will continue to collaborate with the supplier's powertrain division after it is spun off. How has the reaction been to the Delphi’s decision to spin off its powertrain unit? Before the announcement there was a little concern because it is a big move. I must say, however, we were very positively surprised by the reaction from employees, investors and customers. We wondered whether customers would think that we would not support them moving forward. But in reality all three stakeholders, employees, customers and investors, really understand that the industry is diversifying. You have companies that want to focus on powertrain but you also have all these companies that are entering the connectivity and autonomous space. They realize that the level of investment required and the type of culture needed, meaning the speed at which you have to move, is very different from what you will see on the traditional powertrain side. Will your electronics and safety unit still work with the spun off company? Yes, there will still be collaboration in some areas because there are synergies. But we will be two different publicly listed companies. Will the the powertrain unit stay in Luxembourg?